腦公 Hubby MV to be revealed on January 28th (promo pics, teaser…) ! / Le clip de 腦公 Hubby dévoilé le 28 janvier (photos promo, teaser…) ! 🇬🇧 腦公 Hubby MV is coming on January 28th at 12:00 PM (Taiwan time) ! Director is Jeff Chang (特務J Agent J, 電話皇后 Phony Queen MV). 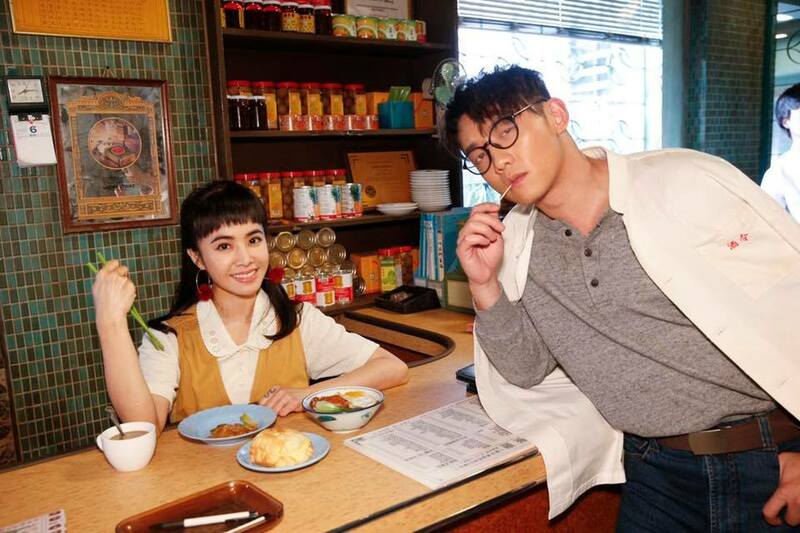 It’s inspired by classic HK movies of the 80s (& 90s), such as 賭神 God of Gamblers, 與龍共舞 Dances with Dragon, 破壞之王 Love on Delivery, and 暫時停止呼吸 Mr Vampire. Some classic scenes from these movies are reenacted in the MV with actors 吳君如 Sandra Ng and 鄭愷 Zheng Kai. Jolin plays the daughter of 酒令茶餐廳* Jiu Ling Tea Restaurant‘s owner, 吳君如 Sandra Ng a “marriage goddess”.